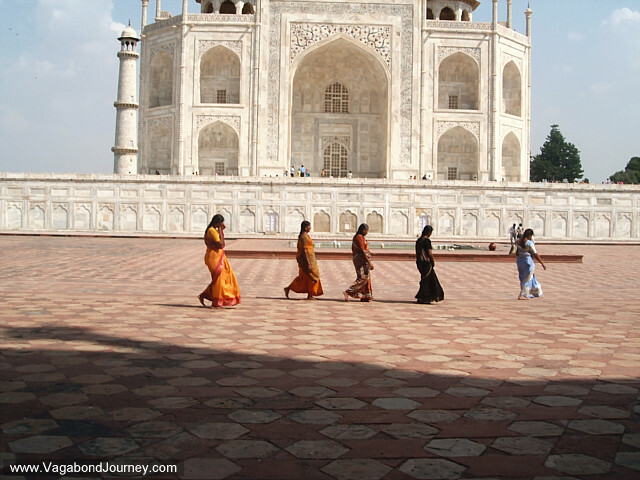 Indian women in saris walking in a line in front of the Taj Mahal, Agra, India. 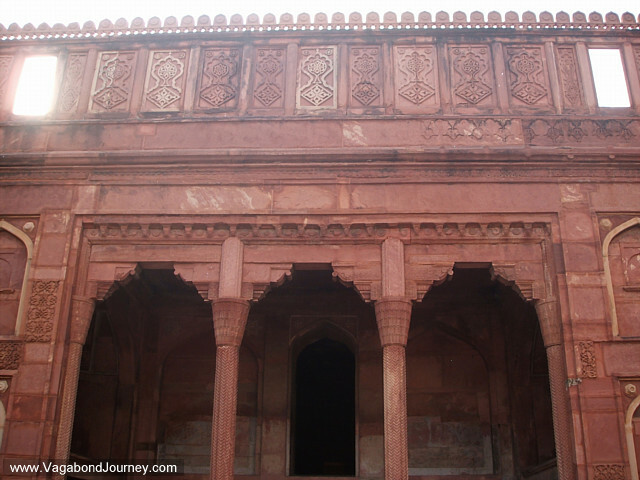 Entrance gate to the Red Fort in Agra, India. 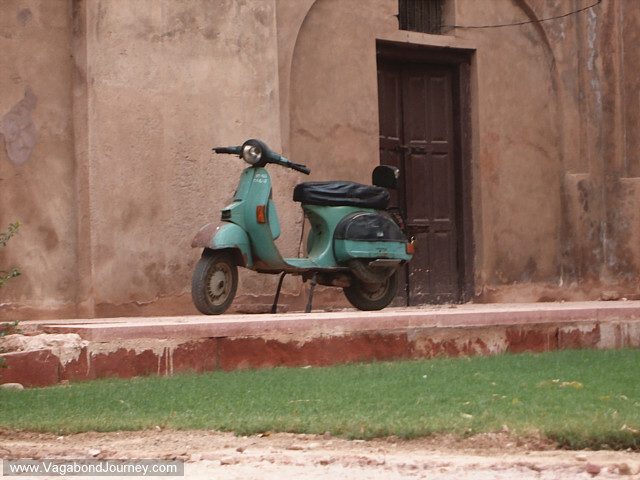 Motorbike parked in the Red Fort. 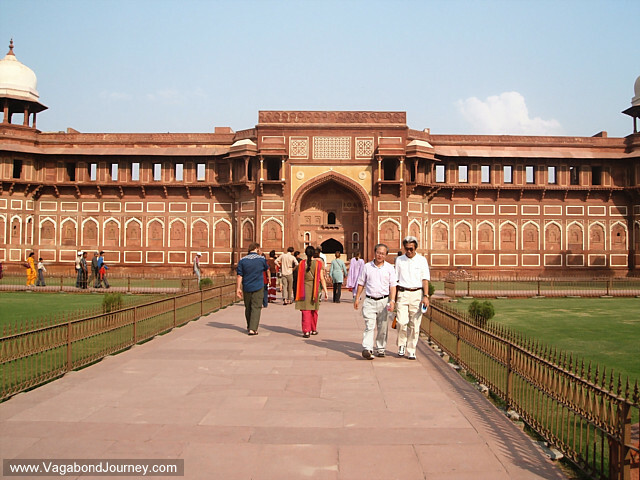 Tourists walk toward the wall of the Red Fort in Agra. 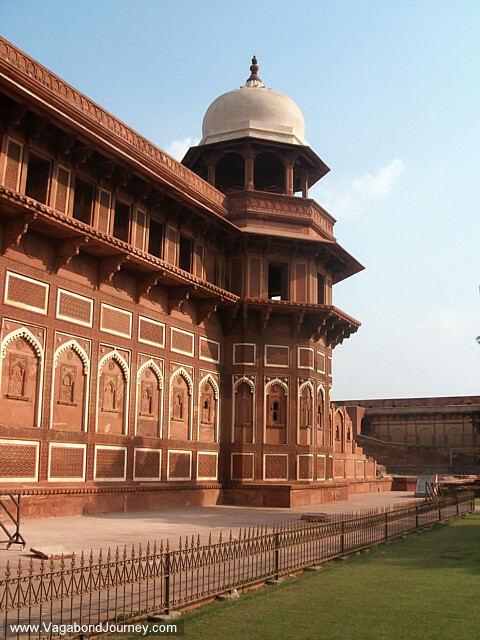 Red Fort in Agra, India. 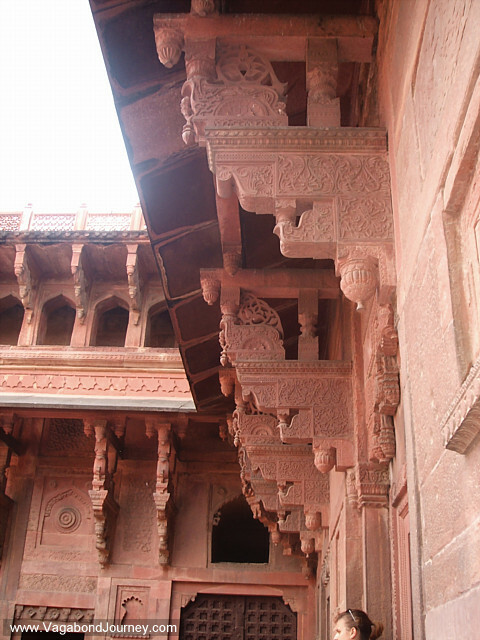 Detail of sculpture on the Red Fort. 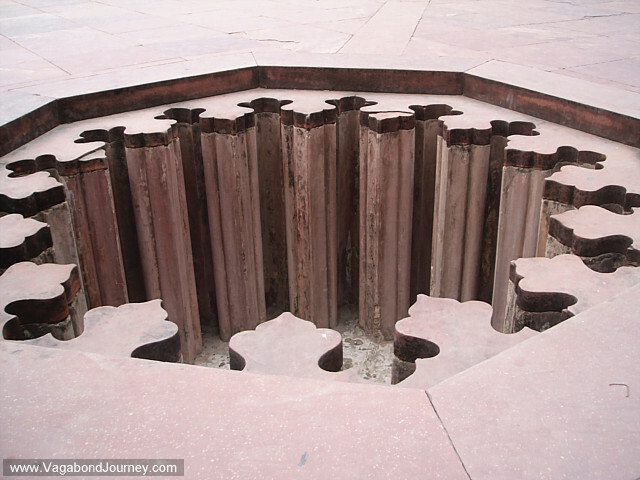 Sculpture cut into floor of Red Fort, Agra. 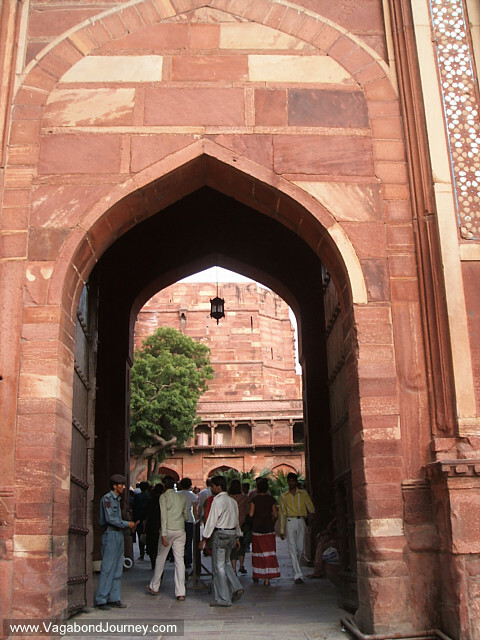 Arched gateways of the Red Fort, India. 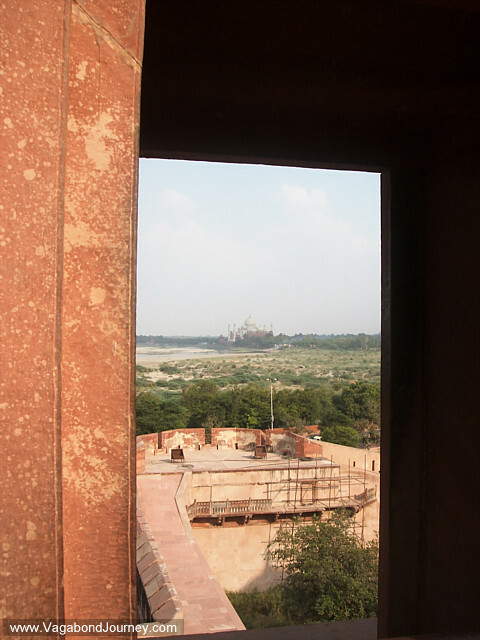 Taj Mahal as seen from a window of the Red Fort in India. 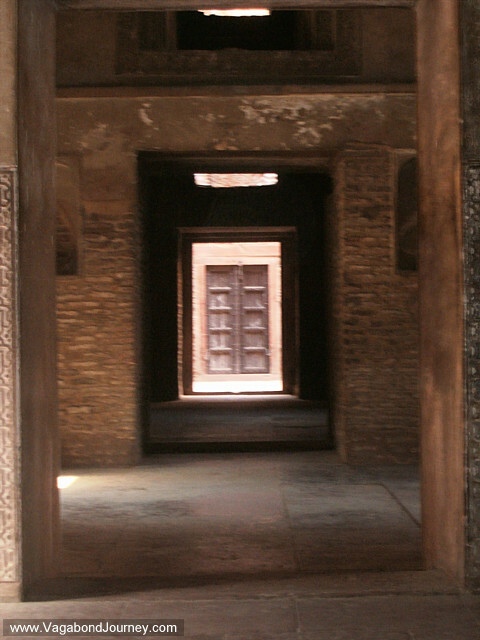 Hallways of the Red Fort.